300 to 3,000 people have died by suicide or homicides with Accutane (Roaccutane). I have just finished reading “The goose that laid the Golden Egg” by Doug Bremner. It’s a factual account of a Roaccutane study done by Dr. Bremner, who discovered that this drug could and did cause suicide in some users. Following his discovery, Hoffman-La Roche then launched a vicious attack on Mr.Bremner, accused him of fraud (of which he was cleared), recruited an inside doctor to spy on him, and almost ruined his career. What I found interesting about this book was that the study was instigated by an Irishman who lost his son to Roaccutane. This book is particularly scary because it is a factual account by Dr. Bremner and details the lengths that a pharmaceutical company, in this case Roche, will go to to protect their cash cow, even though they were aware from early on that this drug could cause people to kill themselves and others. “In 2001 Hoffman-La Roche’s drug Accutane was selling in its billions worldwide as a treatment for acne. For those who suffered from extreme scarring acne, it was something of a miraculous treatment, however evidence started to mount that for others it was a death sentence. Over the next few years it was estimated that between 300 and 3,000 young people being prescribed Accutane since its launch had committed suicide or killed others. In 2001 the father of young man in Ireland who had committed suicide approached Dr. Doug Bremner as Professor of Psychiatry & Radiology at Emory University to see if he could find a causal link between the drug and depression. His findings were that the drug did have an effect on the brain likely to cause acute depression in some patients, which was not surprising as it is a molecular cousin of Vitamin A which is known to cause depression in excessive quantities. One might think that Hoffman-La Roche would have welcomed these findings. After all, no-one was doubting that Accutane was an extremely effective remedy in many cases, it was just that it appeared to have lethal side-effects in others”. You might like to think again on that one. ‘The Goose That Laid The Golden Egg’ is the account of what Hoffman-La Roche did next, which was to prosecute a determined, energetic and vindictive campaign against Dr. Bremner designed to suppress his findings and destroy his career and livelihood. Nonetheless, Dr. Bremner persisted and Hoffman La-Roche have since withdrawn Accutane from the US market, not only for its potentially depressive effects, but also for the likelihood of its causing birth defects and stunting growth. The goose that laid the Golden egg. Amazon. 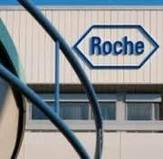 Roche withdrew this drug in the U.S in June 2009. It is still available in Ireland. Link. Roaccutane may cause depression, psychotic symptoms and rarely suicide attempts and suicide. IMB Warning. Previous postUnicef and Melanie Verwoerd. Next postConflicting Information on both sides of the Atlantic. Doug is a brave man to go up against a pharmaceutical company, anyone that does usually become targets of mud-slingers, honey-traps in the form of sock puppets. This is a great review and has certainly whet my appetite. Doug will be proud of you. AAH yes, in the first chapter he is doing a lecture for GSK…you will love it! One of our CASPER kids died 20 days after being prescribed Roaccutane. A normal, healthy 18 year old with mild acne, he killed himself violently for no apparent reason. The doctor who gave him the drug did none of the required blood testing prior to prescribing, was not advised to try antibiotics prior to using Roaccutane and the doctor never saw him again for monitoring while on the drug. Medical records show he called the doctor to ask about depression as a result of treatment but was reassured he would be fine. Of course the Coroner found the drug had nothing to do with his sudden suicide. His mum and 12 year old brother are completely devastated. Japers Maria, I’m so sorry for his family…maybe they should contact Doug for a scientific explanation. Won’t get him back but might help a bit..He is on Twitter! That’s disgraceful that he even called the doctor and the doctor obviously had no clue. Makes you wonder do the “medical professionals” not have access to Google? Shane also called the doctor after he was on Cipramil for a few days to say his mouth felt funny and the medication was making him feel strange, but the medical council obviously thought it was O.k for the doctor to tell him to keep taking them. too many vested interests in these drugs.. The truth is guarded fiercely because of protection of profits… even at the expense of mass death and destruction.. what a sick world we live in.. Cleaning this industry up is a lengthy process, but occasionally its excesses become just too outrageous to continue to ignore. Their argument that Howard Solomon was not involved and therefore should not be held personally responsible is ridiculous. He is the CEO of Forest Labs, of course he knew his reps were selling Celexa off label. He must also have been aware of the Lundbeck study which showed Celexa/Cipramil didn’t work for children and even worse, caused some to become suicidal. Forest Labs are great partners in crime to Lundbeck. They could save on the education of their staff where fraud, bribary and corruption must be the basic principle!! ruined my life also and no chance of compensation as i live in the r.o.i.